Cast away on your own island. A private dinner awaits. Board a luxury pontoon and alight at an island to call your own. Enjoy tropical cocktails as sun sets. 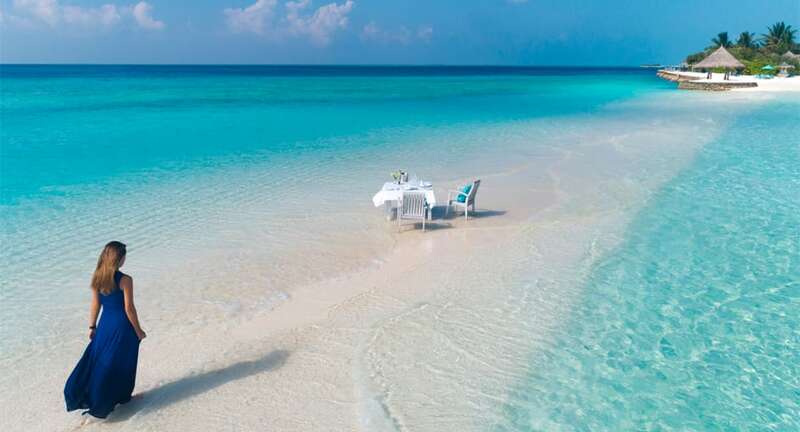 Candlelight flickers, and dinner is served – an oceanfront barbecue set on your sandbank table, Maldivian specialities of the freshest seafood brought to your white-canopy faree tent, each dish paired with the perfect wine. Indulge in an island fantasy, and perhaps the most romantic evening of your life. See more Dining by Design experiences.